Best regards of the day to Alexey Semenovich Myagkov! Best regards of the day to Anna Savelievna Safina! Best regards of the day to Lev Seraphimovich Andrusenko! On May 9, 2013 Russia will be celebrating 68-th anniversary of the victory in the Great Patriotic War. A few years ago Sokolniki Exhibition and Convention Centre team launched the Our Victory project, aiming at supporting, caring, and revering our dear veterans ever grateful for their courage and heroism in times of war. The project’s slogan is, “No one is forgotten, nothing is forgotten”. 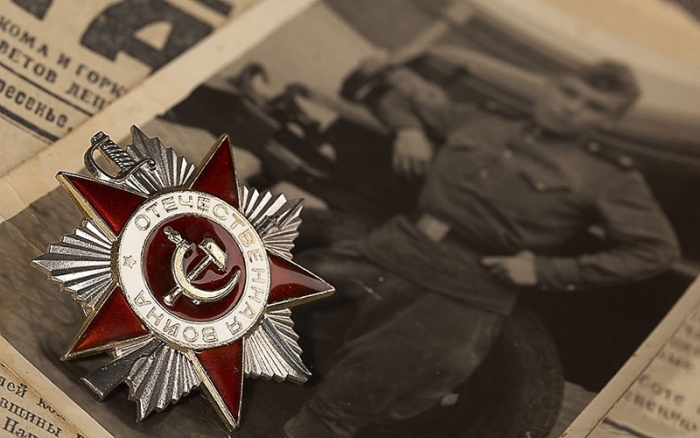 Our team has also developed a website, destined to learn more about the great deeds of the Soviet people. Marshalls’ and admirals’ biographies, narrations of the self-sacrificial feats of our Motherland’s defenders… We have also considered the means by which the modern generation of the heroes’ children and grandchildren can marvel at the ordeals their grandparents had had to undergo for us to live in peace under the cloudless skies. The website features reviews of feature movies and documentaries, war museums, war book reviews, posters, caricatures, photographs of the period. Here you can also listen to war-time songs. On top of all a separate section is dedicated to the “St. George Ribbon” promo, featuring the list of locations, where you can get one. From this day onwards we will be daily posting various materials dedicated to the Victory Day on Sokolniki ECC and Our Victory project official websites.